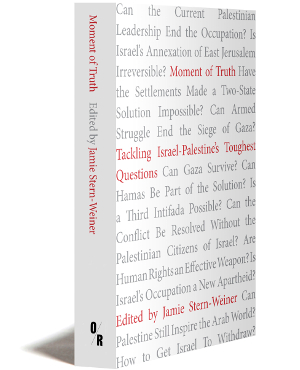 Jamie Stern-Weiner, editor of Moment of Truth: Tackling Israel-Palestine’s Toughest Questions, publishing next week, writes on the 70th anniversary of the Nakba, a tragedy for Palestinians that continues to reverberate with terrible consequences today: “The world is replete with morally complex conflicts and finely-balanced ethical dilemmas. Gaza is not one of them. Two million people have been herded into one of the most densely populated areas on the planet, denied the prerequisites for a functioning economy, pummeled with the most sophisticated military equipment on earth, and left to rot. 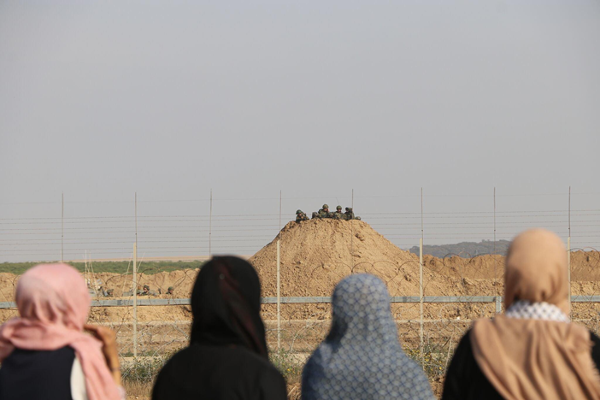 This week, May 14, as many as 80,000 people in Gaza marched upon the perimeter fence to protest their imprisonment. Their motivation was eloquently expressed by Olfat al-Kurd, a 37 year-old mother of four who works in Gaza as a human rights activist: Israel has been holding Gaza under blockade for more than ten years. Some of the young people participating in the protests, and being wounded or even killed by soldiers, do not know what it’s like to have running water and a steady supply of electricity. They have never left Gaza and grew up in a prison. There is no real life in Gaza. The whole place is clinically dead. The younger generations are crushed by the hopelessness and death everywhere. The protests have given us all a spark of hope. They are our attempt to cry out to the world that it must wake up, that there are people here fighting for their most basic rights, which they are entitled to fulfill. We deserve to live, too. The demonstrations were overwhelmingly nonviolent, as they have been since the Great Return March began some seven weeks ago. Israel responded with a massacre: 62 dead, including eight children, and some 2,800 wounded. A senior Human Rights Watch official described their murder: This is about individual snipers safely ensconced hundreds of feet, even farther, away, targeting individual protestors and executing them one at a time. As the Red Cross warned that Gaza’s health system was ‘on the verge of collapse’, straining to cope with the mass influx of casualties, President Trump tweeted: ‘Big day for Israel. Congratulations!’ The days and weeks to come may well see Gazans in unprecedented numbers attempt en masse to break free of their cage. The danger of further slaughter looms large, demanding that supporters of justice and international law around the world take action to restrain Israel&#8217;s bloodletting and educate themselves about solutions capable of ensuring that such atrocities do not continue.” Moment of Truth brings together leading experts including Shlomo Ben-Ami, John J. Mearsheimer, Diana Buttu, John Dugard, Richard A. Falk, Norman G. Finkelstein, Sara Roy, Rami G. Khouri, Gideon Levy, Alon Liel, William B. Quandt, Raja Shehadeh, Nathan J. Brown, and Ahmed Yousef to answer the tough questions thrown up by the Israel-Palestine conflict. The post A CATASTROPHE, THEN AND NOW appeared first on Norman G. Finkelstein.